I’ll put the info here so you don’t miss it! Applications are open and it might be the best fit for your family! Check it out by clicking through to see. But read on, too, and see how the Homeschool Review Crew has influenced our family and our education. If you aren’t sure – keep reading. Maybe I can convince you. . . I have been working with the Homeschool Review Crew almost since we began homeschooling the girls. Miss E had just started “fourth grade” and Miss L has just started “second grade.” Miss J was still a preschooler who had fun with everything. The having fun part hasn’t changed but she sure has – now she is a very confident “fourth grader.” Miss E is in high school and Miss L is in junior high! Life as part of the Crew is just what we do – Crew schooling! And you know what? We love it! We are at the slow part of the year for the Homeschool Review Crew so we aren’t reviewing hardly any products at this point. Miss E asked just the other day when the next product was coming in for a review. When I told her it would be a couple of months as the years changed over, she was really disappointed. She has loved the products that we have reviewed over the last year or so that were for her, so much so that she made sure she got do to coding this year for her high school work (Thanks Code For Teens) and that she had access to all of the audios we have (Thanks Heirloom Audio and Brinkman Adventures). Additionally, Logic is on her weekly agenda and her algebra class is a previous review product that we have pulled back out. She is working through a speech class from SchoolhouseTeachers. Her Latin is from a Crew review (Picta Dicta) and she looks us the Daily Writing from SchoolhouseTeachers each day. Chemistry (Friendly Chemistry) is found on SchoolhouseTeachers, also, though we bought the extension for the course from the company. Her course load would be totally different without the Crew! Miss L’s school work looks quite a bit different but she enjoys doing things for the Crew, also. Practice Monkeys is a current review for live online violin classes. She is taking a Marine Biology class from a company that we reviewed a couple of years ago (Supercharged Science). She uses SchoolhouseTeachers to find information for the history that she designed on Parties Through The Ages. Her language arts is made up of Dynamic Literacy, Phonetic Zoo, Grammar Planet, and some writing that she does. Miss J’s classes are arranged due to some Crew vendors, as well. Mind Benders is probably her favorite and these come from The Critical Thinking Co. (We did not review Mind Benders but because I liked what I saw on from the company in reviews we did, we were more than happy to purchase their products.) She works on Anatomy and Physiology from Apologia and we have printed a few history worksheets and found some links on SchoolhouseTeachers to supplement the readings we do. She is also doing the current Practice Monkeys violin review. friendship – I have some wonderful online bloggers who are dear friends that I would not know if not for the Crew. mentorship – The Crew offers an amazing wealth of knowledge amongst the bloggers and they offer you support and encouragement. The forums available open up areas of growth that I had no idea I would grow in and yet I have. From homeschooling to blogging to writing to starting a business, the mentoring I have found on the Crew is amazing. encouragement – The encouragement is unmatched anywhere else. The ladies on the Crew are there for you when you need it. Whether it be prayer for strength to get through a tough day or a group to pray for you over the course of a year when your husband is deployed or a medical emergency or a decision you are anguishing over, these folks with offer encouragement and advice. On top of that, there is no judgment. They are truly an amazing group of ladies to be a part of. understanding – Crew schooling is a big of different beast in the world of home education. The Crew folks get that and they are all doing it, too. So, when someone questions your choice to change your kiddos curriculum mid-stream (hey – you have a math program to review, you have to change for a few weeks! ), the Crew understands and supports you on that. They also have advice and ways to make things work that others might not have thought of. Okay – do you see? These are amazing people to work with. I am blessed. I could have written this post a hundred different ways because our family has been truly blessed to be a part of the Homeschool Review Crew. And do you know how I found them? By reading through a post like this. They are currently accepting applications to add to our team. We want you. Click through this link to see if you think you might want to apply and then do! Make a spur of the moment decision and apply. It might just change your life. We all have times where we have to balance a load of things – from work to children to studies to teaching to daily chores to, well, you name it. We all have it and this review was an easy to process online course that helped me to think through some of the day-to-day that bogs down through time. Balancing Diapers and Deadlines is a fully-online, reading-based course that takes you step-by-step through daily life and choices. Brought to you by Lisa Tanner Writing , there is something for everyone in this course. Lisa Tanner is a mom and business owner. Working from home with 8 children around her, she has had to think carefully about how to help it all run smoothly. Now, I don’t have 8 children that I am trying to mother and educate and help guide but I do have three. And with this blog, I have business-like items I need to consider and plenty of deadlines I have to keep in sight. And we live in a house we would like to have somewhat neat and tidy with laundry we would like to not wear dirty. 🙂 So, there was a lot in her course that touched my daily life. Once you purchase the course from Lisa Tanner Writing , you will have access to the entire course right away. You just start at the beginning and go through it one online-page at a time. After each page, you click a box that tells the program to mark that section complete and you will be able to find where you are the next time you log in. There is no need to write it down; just look for the little green check marks next to the titles of lessons to see what you have finished. There are 6 units, in addition to an introduction and a closing thoughts. Each of the units has several chapters in it and each one of those has at least one activity that will help you put your thoughts and ideas down on paper and make the decisions that need to be made. These action steps are small and easy to accomplish. Many topics had print outs to help you with the action step, whether it be a schedule or a sample of her schedule or a checklist or something else. From making a plan for the day or figuring out the laundry or scheduling tasks related to the business, there were plenty of ideas, suggestions, and personalized discussions, making this an easy to read and implement course. Balancing Diapers and Deadlines is designed for anyone who has multiple parts of their life that they are trying to keep in order, particularly if you are running your own business and trying to grow it. Now, at this moment in time, I am not actively trying to start or grow a business but there were a lot of action steps that did apply. Some of these included were thinking through a morning routine or scheduling quiet time. Maybe you need some ideas about how to schedule your meals (insert the lesson here about the year long menu!) or getting your children involved in helping with your business. There is something here for everyone, even if you feel like you have your life running smoothly. The thing is, we all have places in our lives where we can improve our systems or get our children more involved. The ideas and baby steps included throughout Balancing Diapers and Deadlines will help you and your family. Please make sure to visit the Homeschool Review Crew anchor post for Balancing Diapers and Deadlines reviews by other families, many of whom are growing their business. See how this course from Lisa Tanner Writing can help you! If you haven’t figured it out yet, I love the company that I review for. The Old Schoolhouse is a wonderful company and our family has been super blessed by being a part of The Homeschool Review Crew. (Yes – that is a new name but what we do has not changed, nor has the company we are a part of.) When I first applied, it was on a whim and with the expectation that they would laugh at how small my blog was. I was shocked, surprised, and thrilled when I got back a response after my test review that I was being offered a spot on the Crew. It was such a joy and has been one ever since. With the Homeschool Review Crew looking for new members of the team and accepting applications, TOS has issued a press release. I thought I would share that with you. The Old Schoolhouse® Magazine. a resource for support and encouragement for homeschooling families, is printed annually and available in a free quarterly digital format online, or by free app for tablets and phones. 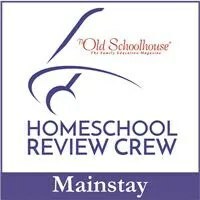 The Homeschool Review Crew is part of The Old Schoolhouse® Magazine. The Homeschool Review Crew is a viral marketing network made up of homeschooling families that use, review, and share about home education products. Crew members must apply and applications are being accepted now. 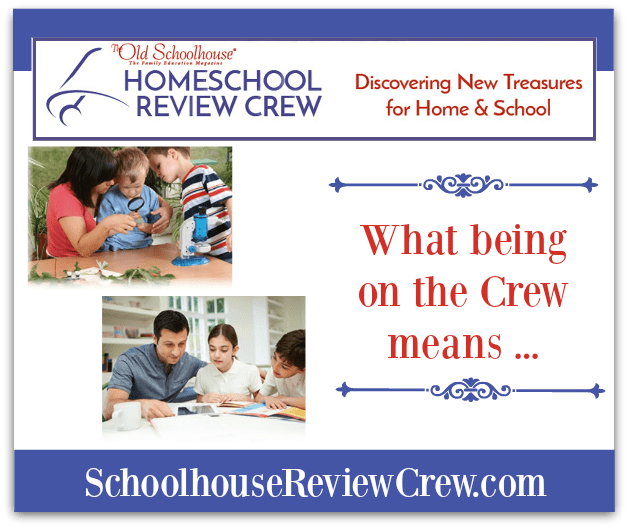 To be part of the Crew you must be a homeschooler and willing to use the review products with your students for about six weeks in your homeschool before writing your review. You must have an active blog on which to publish your reviews and have at least one social media platform. You will check in on our Review Management forum, have access to sample reviews, and we provide mentoring for new members, a social media networking group, blog and social media tutorials, and lots of great opportunities. In 2016, 75 total reviews were run, including products from some well-known companies like Homeschool in the Woods, Apologia Educational Ministries, Memoria Press, and Math U See, as well as products from lesser-known companies like Rocky Mountain Christian Filmmaker, Foreign Languages for Kids by Kids, Star Toaster, and ArtAchieve. It is possible to review full curriculum packages like Writing with Sharon Watson or a music program from Zeezok Publishing. Smaller curricular items like books from Carole P. Roman or a unit from Progeny Press are also reviewed. And some items, like audio dramas from Familyman Ministries and Heirloom Audio, personal care items from Koru Naturals, or games from Simply Fun and Chara Games, are just a lot of fun! As a Crew Member, you can set your interests and your own limits on how much you can handle. Some Crew members reviewed 60 or more products in 2016. On average, reviewers completed three reviews per month. After making sure you meet all of the requirements, if you believe you would to an asset to our Crew and wish to join us, please read more on our blog, or fill out our application. If you have questions, feel free to email Debra Brinkman. As the number of homeschoolers and the diversity of curriculum continue to grow, The Old Schoolhouse® Magazine and the Homeschool Review Crew are in place to help home educators worldwide produce students that are in high demand in the workplace as well as in colleges and universities across the country. The Crew will be accepting applications for only a short while longer. I don’t, at this time, know the exact date that applications will close but I would not expect it to be much longer than the end of this week (first week of Nov). So follow those links above and find out if the Homeschool Review Crew and TOS would be a good fit for you and then fill out the application. Take a chance; you never know. No, we aren’t leaving. Let’s get that out of the way. At least, I hope not. We are definitely reapplying! That being said, I am ever so thankful that I don’t have to home educate without the Homeschool Review Crew. I don’t really even know what that looks like! You see, we made the decision to homeschool the girls at the end of a spring semester. I started blogging at that point, mostly as a way to document and share what we were doing and the fun we were having. We started their official home education in August of that year. I heard about the Homeschool Review Crew in October of that year – two months after we had started school. We were accepted to be a part and in November we were a part of the Crew. So you see, I don’t really know homeschooling without the Crew. They are a lifeline for me. They are a support group for me. They are my friends, my co-workers, and ever so much more. They challenge me to be better each day. They challenge me to strengthen my blogging skills every single week. They read what I write and share their thoughts. They are my community and my online family. They are important. And we have been the recipients of amazing products. Check out this list of reviews we have done! Some have been a perfect fit and are still part of our daily or weekly school work. Others have not and that’s okay because we learned something and we found out something that doesn’t work for us. That is a huge blessings because it also shows us how it might work for other families. This post from the Homeschool Review Crew details all the requirements but ask yourself these questions? Do you enjoy telling others about what works and doesn’t work for your family? These are all indications that you might fit in well with the Crew. Head over and check out the application process. It is open for a couple of weeks but don’t delay. Do it now so you don’t miss that window of opportunity. If you are like me, if you put something off and say “I’ll make time for it later”, it is likely that the deadline slips by and you don’t even notice until it is too late. Don’t let that happen with this opportunity to apply to join an amazing, encouraging group of homeschooling bloggers. Your support community is awaiting! Don’t delay. Not convinced it is for you? Or maybe you are convinced and just want to get even more excited? Read about what others have to say regarding their participation with the 2016 Homeschool Review Crew. Have you wondered about how our family became a part of the Review Crew? Have you seen the products we are blessed to review and wondered how to be a part of something like this? Well, now is the time to check it out in full. 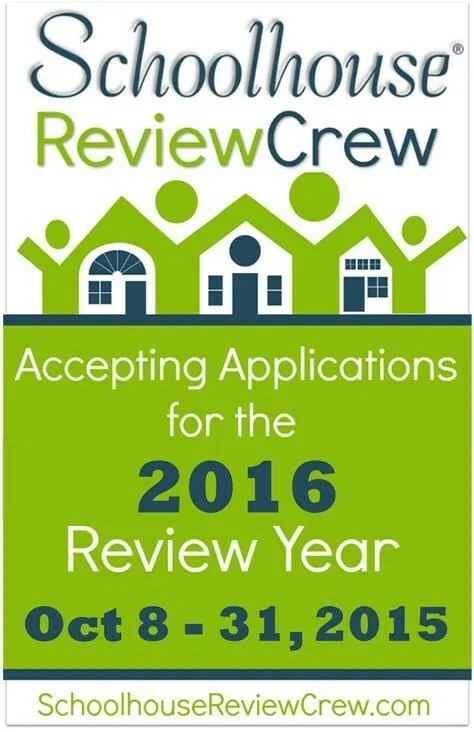 The Old Schoolhouse Review Crew is accepting applications for the 2016 Review Crew. We have already gotten a peek at some of the vendors that are on the list and it is exciting!!! So what does the Review Crew offer? Friendships – With so many families on the Crew, you find amazing friendships that will strengthen and encourage you and your family. Prayer – This group has amazing prayer warriors. I know that when I request prayer for something, I have a hundred or more families in prayer for the situation I share. God hears and answers. This group is amazing in this respect. Encouragement – Whether it is a hard day, a hard week, or a hard season, you will find lots of folks that will step right up to encourage you and give you strength when you need it to press forward through the trials. Hope – Let’s face it – there are times when our hope fades. There will be someone who is ready to share a hope-building statement or story with you just when you need it. Knowledge – I don’t know about you but I find my shortcomings amplified often. The Review Crew is able to lift me up and help me find the knowledge I need to overcome those places where I am short at any given time. Whether it is educational knowledge or home making knowledge or Bible knowledge, there is someone on the Crew that can help you and everyone is willing to do so. Products – Our educational experiences are so rich due to the amazing products we get to review as a part of this group. Many of these we would not even know about. Others are just way out of our financial reach. But with this group, we get the benefit of being able to use tremendous products by tremendous vendors. This combination of things make the Review Crew an opportunity that you don’t want to miss. Check it out. Be prayerful about the decision because it is work. This is not a simple add-on to the family and homeschooling. It takes time and work but it is so worth it! Ready for the application? It is here. Go apply! You won’t regret it. Have you seen this hashtag? It’s been floating around quite a lot in my social media feeds. The pictures and quotes that I have seen have been encouraging to me. As a parent, it is so easy to get worn down by the day. And when I am worn down, the energy I have to direct toward parenting is almost non-existent. But that is not good. That is not okay. Because my children deserve better. The cost of not parenting their hearts is too high. The National Center for Biblical Parenting was founded by Dr. Scott Turansky and Mrs. Joanne Miller. They created the NCBP after seeing and learning the struggles that parents have. They knew that the answers lie in parenting the heart of a child rather than in just learning to modify behavior. This became a ministry they followed and it grew. Currently, the NCBP has numerous publication, presenters and presentations that help equip parents in implementing a heart-based approach to parenting. The National Center for Biblical Parenting is launching a new initiative – the Parent Training Center. These are churches who have taken on the important task of training parents to be parents who parent their children’s hearts. These churches will intentionally work on training parents and they will provide resources and tools that help teach discipleship of believers and evangelism to other families in the community surround the Parent Training Center church. Churches that have the vision of Deuteronomy 6:6-9 and Ephesians 6:1-4 will appreciate the efforts of the NCBP. Their desire to help parents training their children in the ways of the Lord, through all parts of their days and lives, is a worthwhile goal. Dr. Turansky, one of the founders of the NCBP, has several videos on the Parent Training Center website that will do a more thorough job of informing you of the ideals and plans behind the Parent Training Center and how to find out more. There are a number of ideas that can be implemented right away shared in these video and site pages. This looks like a really interesting concept idea and plan. Please view the videos and explore the Parent Training Center website to learn more. The primary goal of the Parent Training Center is to equip parents to train and reach the hearts of their children. The resources used must be heart-based. That is where the book Parenting is Heart Work comes in. This is one of the key resources from the NCBP. 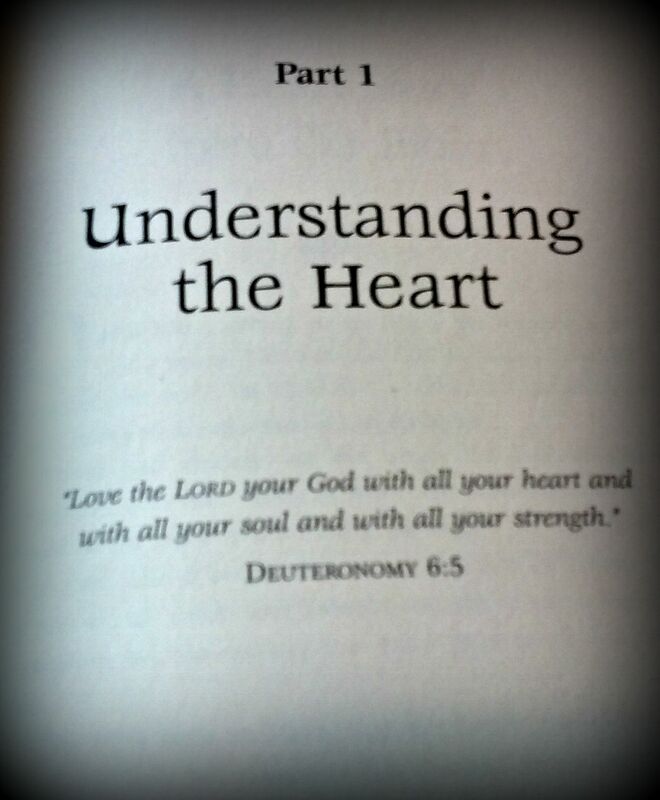 Did you know that the Bible talks about the heart more than 750 times? What does that tell you about God’s use of the heart? God talks to us in the Bible about turning our hearts to him, about how we store up treasure in our hearts, that we can sin in our hearts, that where your treasure there your heart will be also. The heart is the center of our belief and emotion. Out of belief and emotion comes action. That is why an effective parent will be able to reach the heart of a child. That is why God works so hard to reach our hearts. 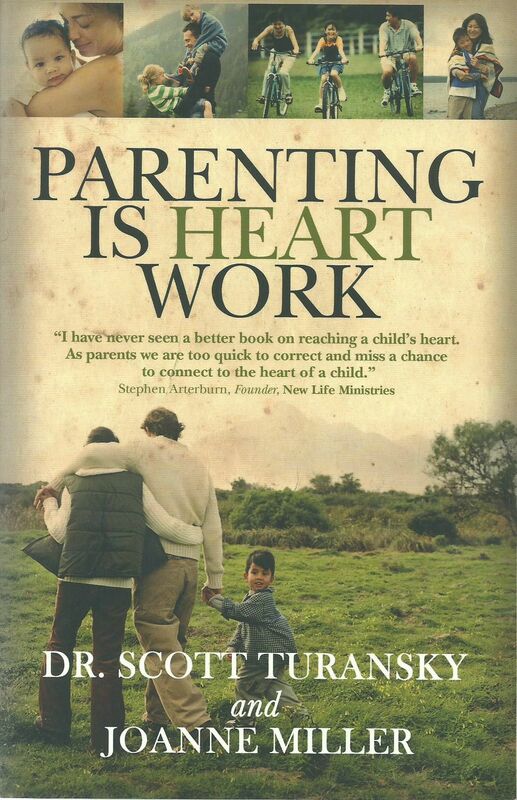 Parenting is Heart Work delves into the heart and what we can do in our parenting moments to reach our children’s hearts. From the ideal to the absolutely practical, we are walked through rethinking what we do as parents, how we correct and disclipline, what words like discipline really mean, and how to change what we do in hopes of changing the hearts of our children to God. Each of the four parts of the book is chock full of Biblical example. 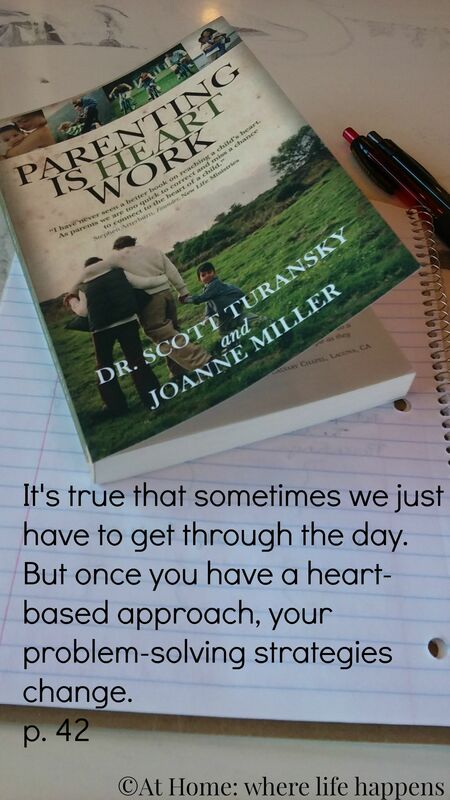 Working straight from God’s word, Dr. Turansky and Mrs. Miller apply heart parenting and God’s work to specific situations. Each example is relatable and the application of the ideas allows us as parents to be able to see ways to incorporate the tools into our own parenting. Through the examples and tools, I found a lot of reassurance for the work I was already doing as a part. I found encouragement that I was doing some things right. I also found an encouraging word about the things I saw that I need to change. It wasn’t full of guilt. And each chapter ended with a prayer from my heart to God. They were written out but I found, time after time, that I was editing the prayer to be specific to what I saw in the chapter that I needed to address. The book has a section at the end with discussion questions for each chapter. This would allow you to utilize the book as a selection for a book club or discussion group. I found these questions to be helpful to dig deeper into my own thoughts and challenges with the tools and concepts in each chapter. I spent quite a bit of time with this book. It was encouraging and helpful to me. I read most of it with a notebook and three colored pens beside me. 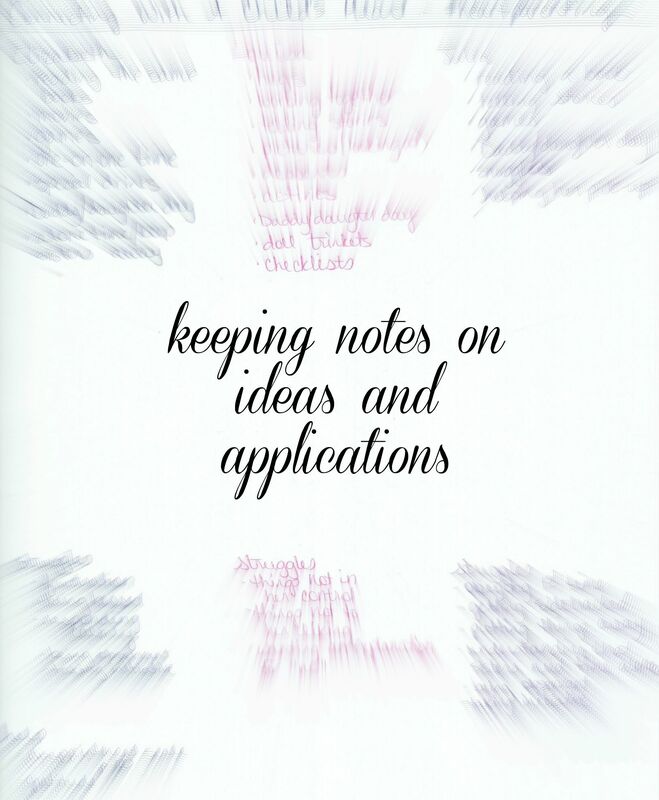 Whenever I was reading and needed to apply it directly to the girls, I would make notes on the page in a different color for each of the girls. It is something I have already gone back to several times and will continue to add to and consult in my desire to parent my girls’ hearts. I found this to be a wonderful book that I definitely recommend. It won’t be gathering dust on my shelves. When I find something that helps me follow God’s will in teaching my children and training their hearts to God, I don’t want to keep it to myself. And, if all of the resources for the Parent Training Centers are this great, then the Parent Training Center initiative by the National Center for Biblical Parenting is a powerhouse for change. Our world needs this kind of change. There is a giveaway going on until Aug. 17, 2015. This giveaway is open to residents of the U. S. only. Void where prohibited by law. Must be at least 18 years of age. This giveaway is in no away associated with Twitter, Facebook, Instagram, or Pinterest.. No purchase necessary for entry. Odds are determined by the number of entries. Selected winner will have 48 hours to respond to email notification to claim their prize or another winner will be drawn. 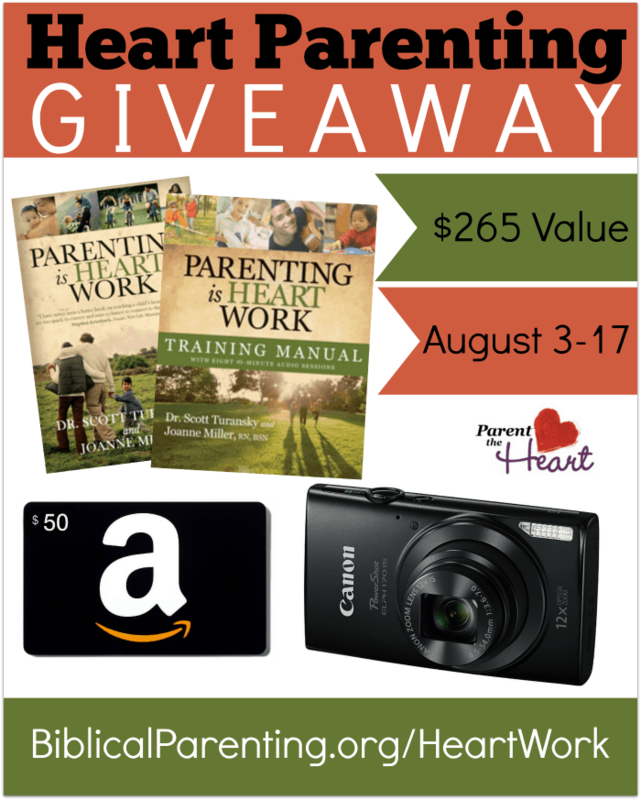 Entrants to this giveaway will be added to the email list for the National Center of Biblical Parenting. I can’t choose a single one of anything “favorite” so you’ll get more than one. 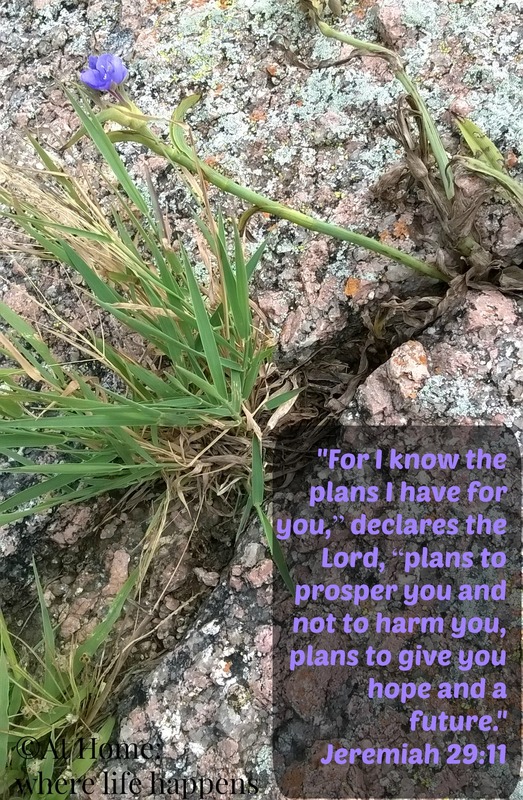 For I know the plans I have for you, declared the Lord. – depending on what you are looking at this is attributed to Ambrose Redmoon, Franklin D. Roosevelt, Nelson Mandela, and Meg Cabot. Regardless, I like it because we have to overcome ourselves to stand in the face of fear and conquer it. And you conquer it by figuring out what is better than fear itself. I would love to hear your favorite quote, if you care to share it. 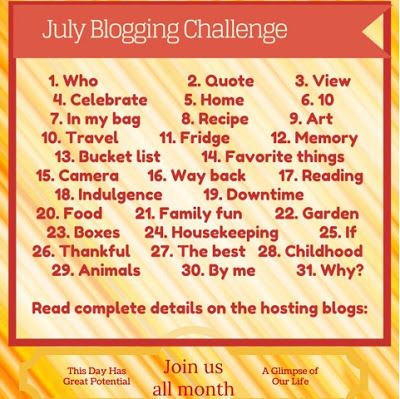 Join me tomorrow for the next post in the July Blogging Challenge.